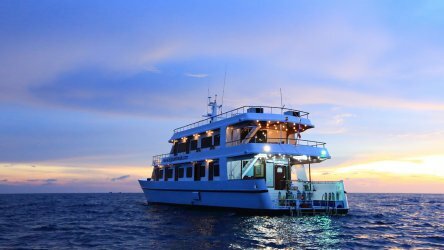 Most of the Similan Island liveaboards steer away from night dives in favour of sunset dives that are usually far better. 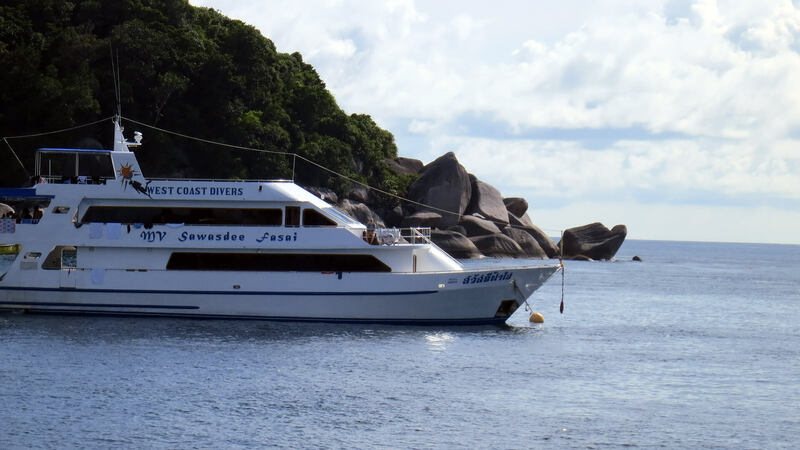 However on the first night on the boat you may well jump in at Turtle Rock. It will probably be your one and only night dive of the trip. 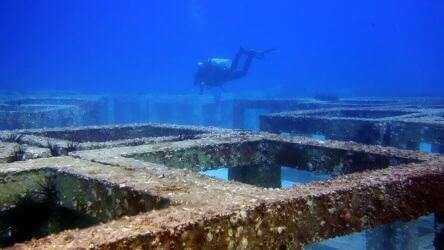 The shallow, protected bay usually has very easy conditions and clear water. The dive site got its name from the turtle shaped rock that sits out of the water on the west side of the bay. Occasionally we see turtles but not very often. The shallow bay has plenty of healthy coral to explore and this is the area you should stick to. If you go a bit too far west you’ll end up at some boulders that drop away to 30m. Not ideal for a night dive.. Your liveaboard will moor up on the central buoy line so you can use this a reference during your descent. 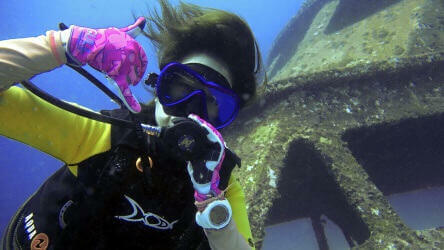 Start looking around the scattered coral bommies as soon as you reach the bottom. 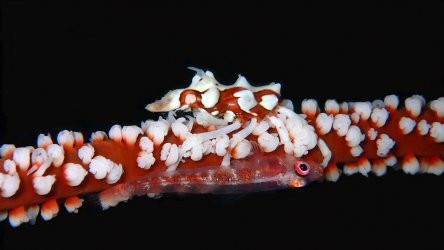 Moray eels, squid, and octopus will all be actively hunting. Follow one these animals for a few minutes and you may be treated to some predatory behaviour. At the bottom of the reef (20m) there are several spearing mantis shrimp and you may find a kuhl’s stingray. Many species of lionfish will be active at night so if you’re lucky you may find the rare and very beautiful oscillated dwarf lionfish. In amongst the shallow boulders you can find some huge painted spiny lobsters and this is also the place to look for sleeping turtles*. With luck you’ll surface back at your own boat but always shine your torch upwards when you ascend at the end of your dive. It’s a popular place for a night dive and there maybe some small dive tenders whizzing around to collect errant divers. *If you are lucky enough to find a sleeping turtle, please don’t shine your torch directly into its eye. They can become temporarily blinded and disorientated, they’ve been known to panic and drown after such encounters. 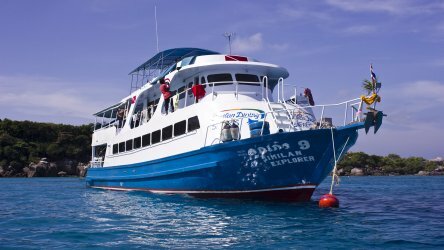 Book your Similan Island liveaboard adventure with the local experts.